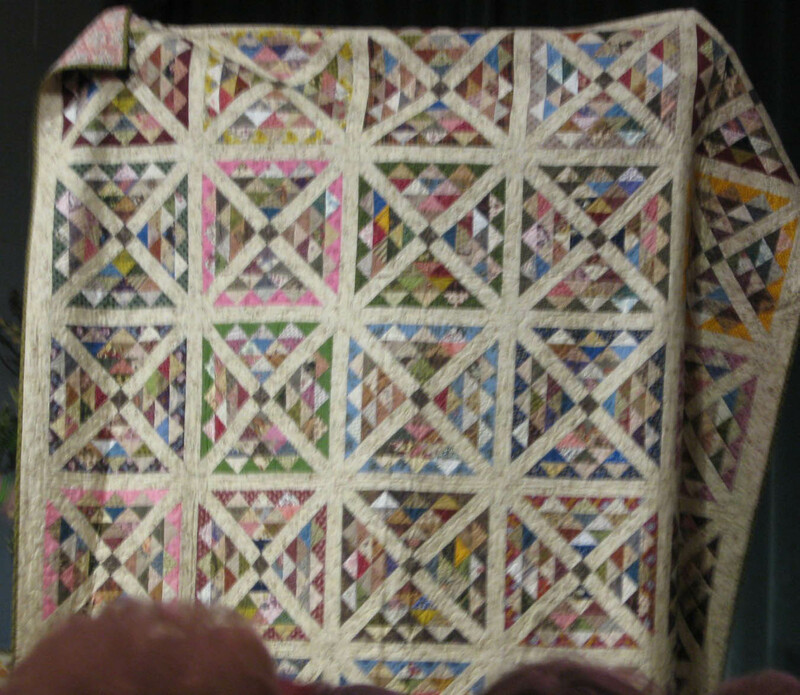 Edyta Sitar of Laundry Basket Quilts. 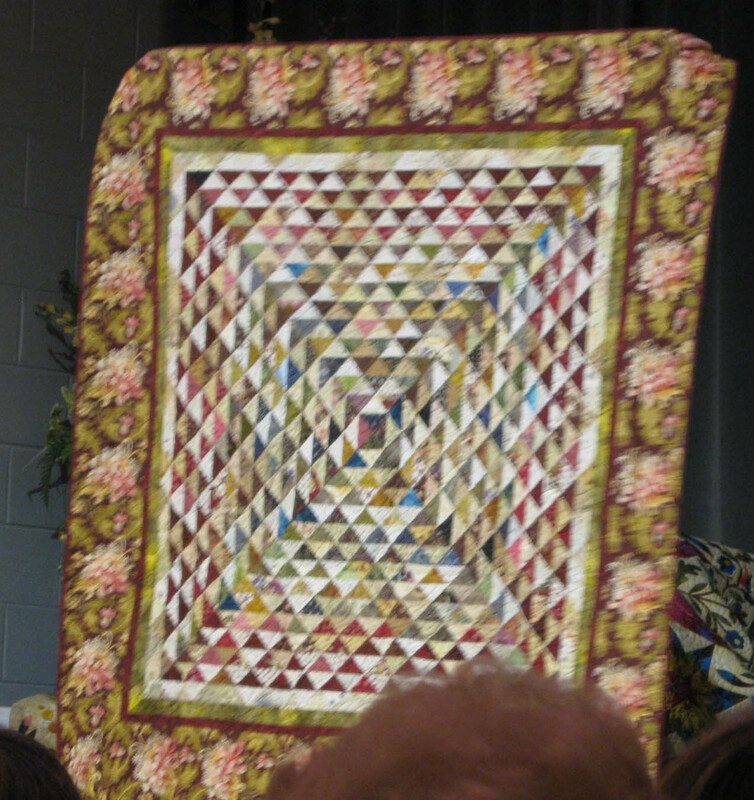 I had the good fortune to be offered a ticket to the annual TVQA (Tennessee Valley Quilters Association) Assembly Day that was held this Saturday. 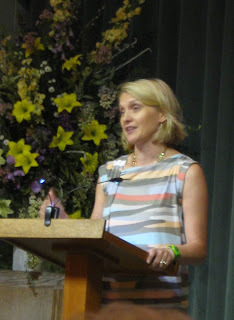 Over 500 quilters from Tennessee, northern Alabama and northern Georgia gathered in Winchester, TN to attend the event and spend a quilt laden day with guest speaker, designer and author, Edyta Sitar of Laundry Basket Quilts. 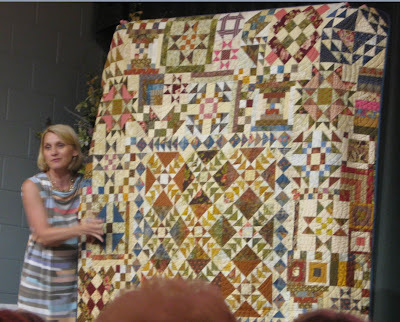 Edyta's presentation, "Reasons for Quilting," was an inspirational and touching narrative of her introduction to quilting by her husband's mother and grandmother and her quilting journey that took her into designing quilts and fabrics, and authoring books that showcase her quilt patterns. Over 100 of her quilts accompanied her on stage as she told her story. Here are a few of them for your viewing pleasure. 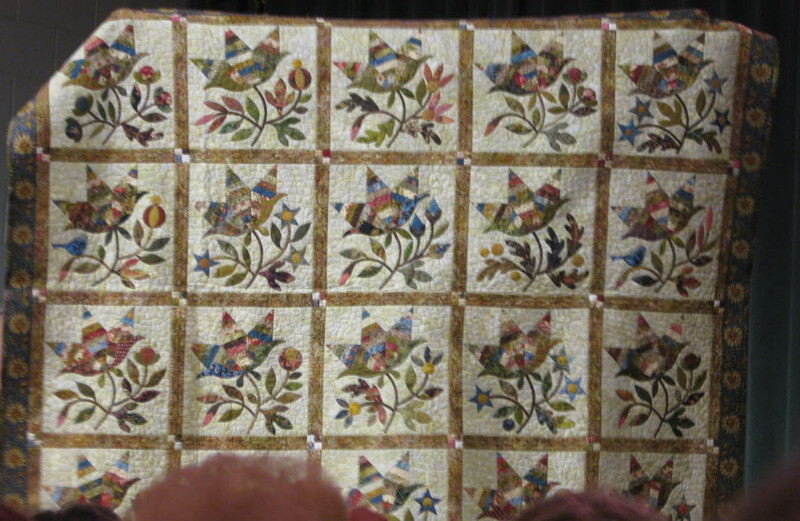 Scrappy quilt from Edyta's collection. She really likes scrap quilts! 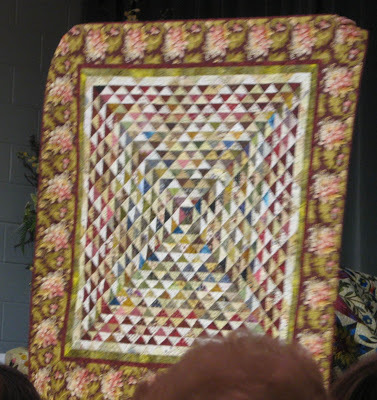 Making quilts with others,,, reasons for quilting. 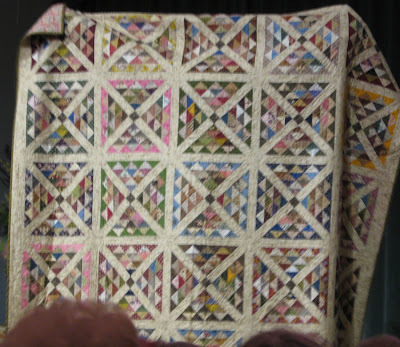 About a million half-square triangles from a patchwork swap. 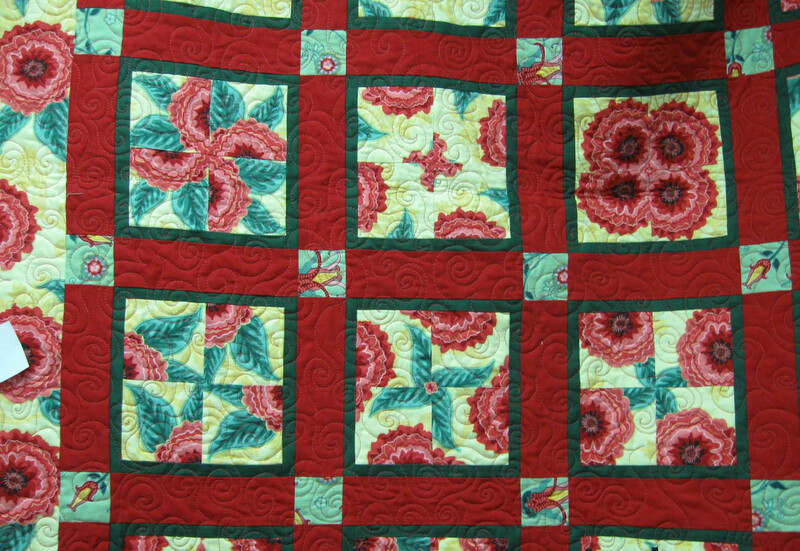 A combination of scrappy patchwork stars with applique. Edyta Sitar with one of her newest quilt designs. Along with the delightful presentation by this acclaimed designer and author, I reconnected with old quilting friends and met a few new ones. 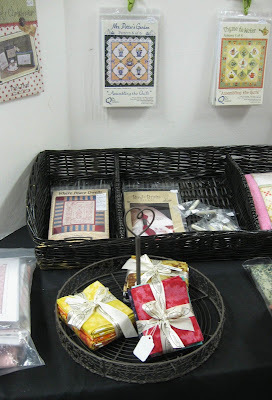 Martha shared her photos from the open air quilt show in Sisters, Oregon. I enjoyed lunch with Debra and Gayle and ladies from their guild. Gayle was later sworn in as the new Secretary for the Association. 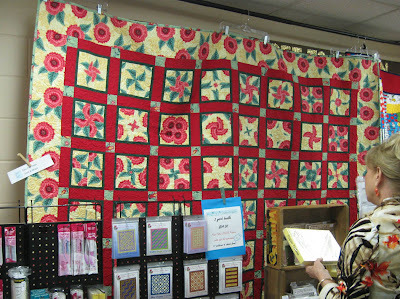 Brenda, a quilter from Alabama and I exchanged stories about the quilt shops in Huntsville and found we had a mutual friend at Patches and Stitches. 4 Patch Posey quilt made with Bora Bora. 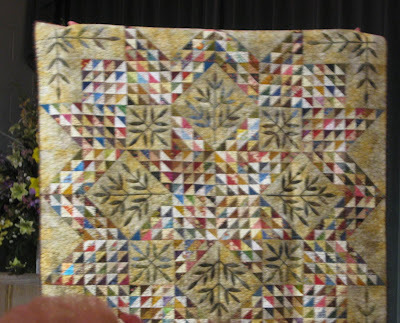 Shannon from Fabrics N Quilts had a stunning kaleidoscope quilt (4-Patch Stacked Posie pattern) made with Blank Quilting's Bora Bora collection. Notice the inner block borders and corner stones. 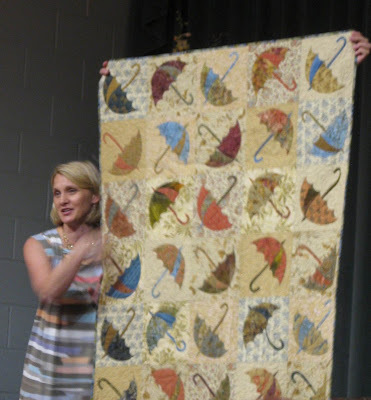 She did a great job quilting it, too! 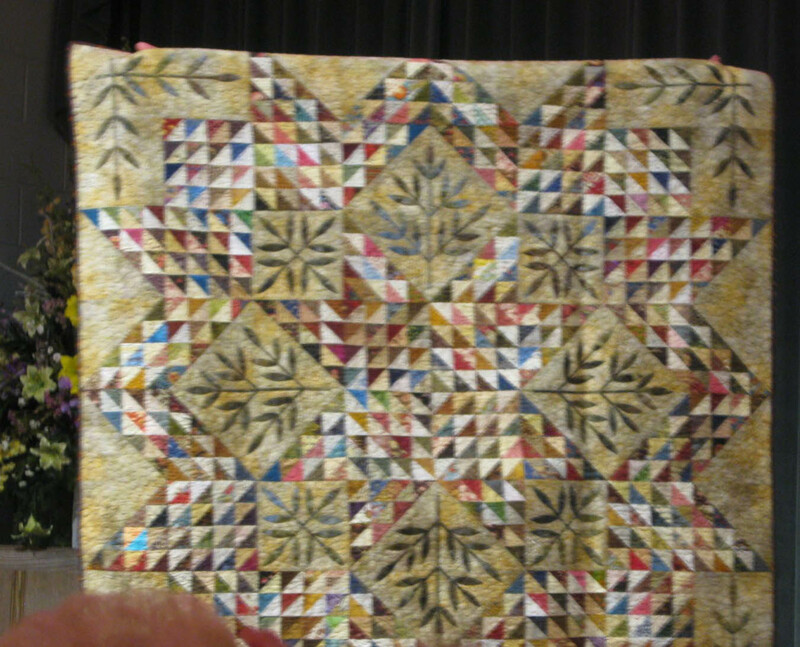 Detail of kaleidoscope 4-patch blocks. Coral, from Sew Clever Fabric n More, reminded me about the upcoming "Christmas in July Shop Hop" (July 27 - August 3) in middle Tennessee. 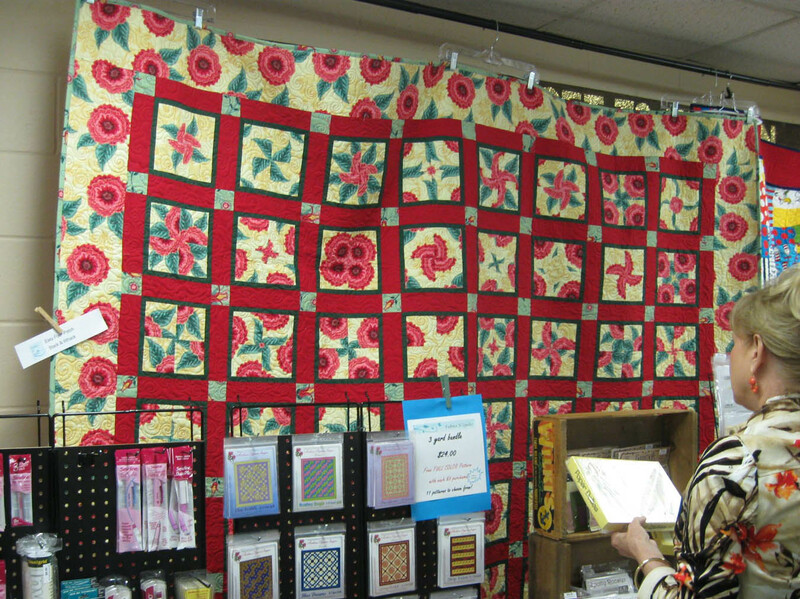 And I'll be joining Marita at The Quilters Path next Saturday, July 27, to teach my Intro to Free-Motion Quilting class. The Rock Candy fat quarter bundles are going fast! The vendor booths at Assembly Day were really buzzing, too. Look! The Rock Candy fat quarter bundles at The Quilters Path table were almost all gone!